1. 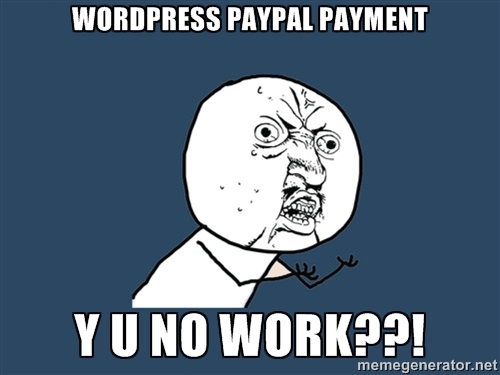 WordPress only accepts certain kinds of payment. WordPress takes: Major Credit and Debit Cards (such as Visa, Mastercard, American Express, Discover), PayPal and Bitcoin. 3. If you are unable to use PayPal you will have to use a prepaid credit or debit card (registered in another country) or BitCoin. 4. If using a debit card make sure it has a VISA or Mastercard symbol on it. It should work just like a credit card when selecting the VISA or Mastercard option on the payment form, even though it’s a debit card. 5. If you require a receipt it can be obtained by going to the Dashboard–>Store–>Billing History to print out a receipt. Billing History. Note: I do not have any purchases on my WordPress.COM site so no billing history to report. 6. Make sure you are using an updated card with your correct address and contact information. Also, make sure your card is not expired. 7. If you want to try a WordPress upgrade it will ask you for credit card information. If you cancel it within 14-days they do not charge you. Make sure you click on the “Try for Free” button at the bottom. Trial Screen. Note, “Try Custom Design for Free” button. New domain registrations will be refunded if requested within 2 days. Most other upgrades can be fully refunded within 30 days of purchase. You can use the “Cancel” button on My Upgrades if available or Contact support if you want to request a refund. 1. WordPress does not allow monthly installment payments. Everything must be paid up-front. 3. Purchases must be made by the blog owner.